Was Carter your favourite character on ER ever? mashabiki wanachagua: Yes! He was my nuber one! Yes! He was my nuber one! What Librarian movie did wewe like best? Did wewe like The Librarian movies? mashabiki wanachagua: Yes! They where awsome! Who are wewe most excited about coming back to ER for the final season? Was it good that Carter left to be with Kem? mashabiki wanachagua: No, she left him after they Lost the baby. He deserves much better than her! Interview with Noah about his return to ER and his role on The Librarian: Curse of the Judas Chalice. Noah Wyle returns to TNT as Flynn Carsen in The Librarian: Curse of the Judas Chalice, the third installment of TNT's hugely successful Librarian franchise. Here are some fun nukuu from Noah! Here are some fun trivia facts about Noah! Noah has been nominated for five Screen Actors Guild (SAG) Awards: from 1997-2001 he was nominated for Outstanding Performance kwa an Ensemble in a Drama Series for his work on ER. He won in 1997, 1998 and 1999. One of Noah best Marafiki since high school is actor J. P. Manoux. They both attended the Thatcher School in Ojai, California. This is an old interview with Noah, about him leaving ER. This is the letter Carter wrote Abby when he was in the Congo. I found it on NBC's website, and thought I'd share it with you! Enjoy! a comment was made to the poll: Was Carter your favourite character on ER ever? a comment was made to the poll: What Librarian movie did wewe like best? a comment was made to the poll: Did wewe like The Librarian movies? a comment was made to the poll: What did wewe like better? 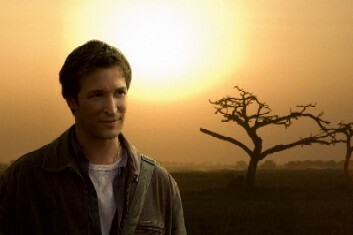 What does Noah Wyle's mother do for a living? Noah's new movie - Queen of the Lot is great!